Politics will dominate much of the news during 2014 as the nation goes to the polls in a number of important elections. 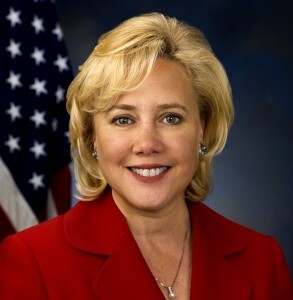 Louisiana will be in the spotlight because one of the most important races will be for the U. S. Senate seat currently being held by Sen. Mary Landrieu. Landrieu is considered one of the most vulnerable Senate Democrats because of her support for Obamacare and a host of liberal causes and her close ties to President Obama. Landrieu is being challenged in Louisiana’s Nov. 4 open primary by Congressman Bill Cassidy of Baton Rouge and Col. Rob Maness, USAF (ret.). Cassidy is a practicing physician. Maness retired from the Air Force, where he was a B-1 Bomber pilot and commander of a B-1 Bomber Squadron. During Desert Storm, he flew bombing missions from Barksdale AFB to the Mideast, Both Cassiday and Maness are Republicans. A runoff if necessary, will be Dec. 6. Here in the 6th Congressional District, Cassidy’s seat is up for grabs. The candidates include Paul Dietzel II, Sen. Dan Claitor, and Cassie Felder, all Republicans. Dietzel is the founder of an internet company called Anedot. He is the grandson of the late Paul Dietzel, who coached LSU’s 1958 National Championship team. Claitor is an attorney and two-term state senator. Felder is a practicing attorney. • Metro Councilman Trae Welch is expected to run against District Judge Mike Erwin. • District Judge Mike Caldwell could have opposition. • District Judge Trudy White could draw two opponents, Gideon Carter and Alfred Williams. • District Judge Kay Bates has two possible opponents. • 1st Circuit Court of Appeal Judge Duke Welch is up for reelection, and he reportedly has a possible opponent. Qualifying for the fall elections is Aug. 20-22, 2014.